Picture above: Andrew Maloch and Charles Smith both obtained whole guns, or very nearly so from WR. 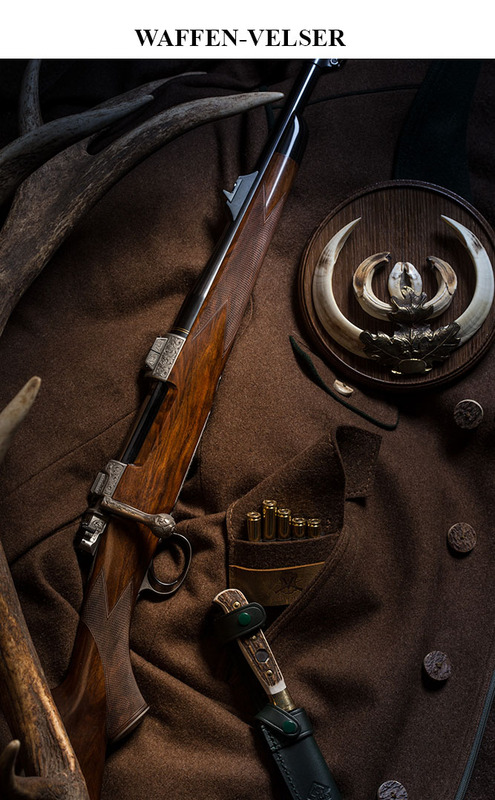 WHO MADE THIS WESTLEY RICHARDS? 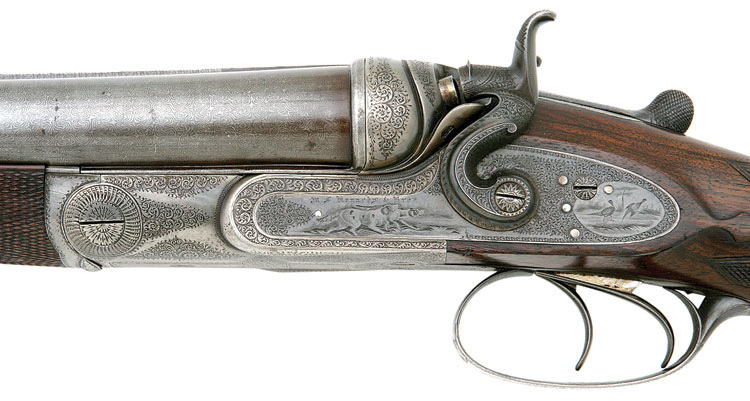 OR, WHO MADE THIS, WESTLEY RICHARDS? The commas in the title of this little article are appropriate because one function of a comma is to give pause. 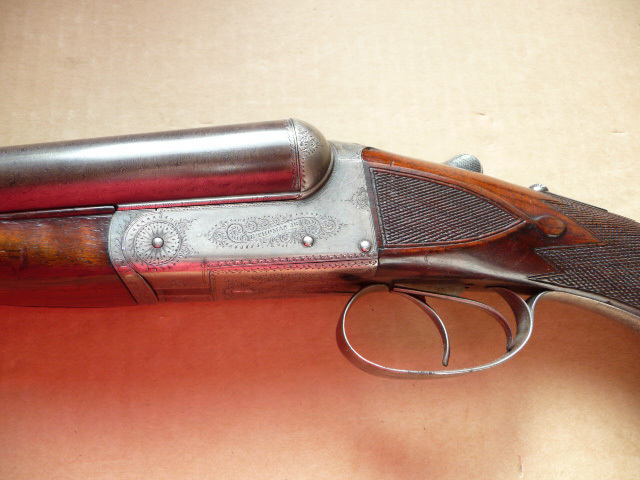 During the handling of many a fine gun over the years, it has sometimes been the case that an initial and cursory inspection has brought the manufacturing style and form of Westley Richards to mind. However, after having paused to confirm that sterling name on the rib, locks or body, another lesser known name has been revealed. Some of the names we encountered included Army & Navy, Bentley & Playfair, James Collins, J. D. Dougall, Richard Ellis, William Ford, I. Hollis, Charles Henry Maleham, Andrew Maloch, John Patstone, Pittsburgh Firearms Co., E. M. Reilly, Charles Smith, Thomas Turner, Webley & Scott, and even some Continental producers and retailers. 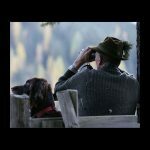 My favorite gun writer has said that he can afford Westley Richards and I am heartily glad for him. We have learned that there is deservedly a great deal of financial ‘blue sky’ and cachet associated with that justifiably famous marque. 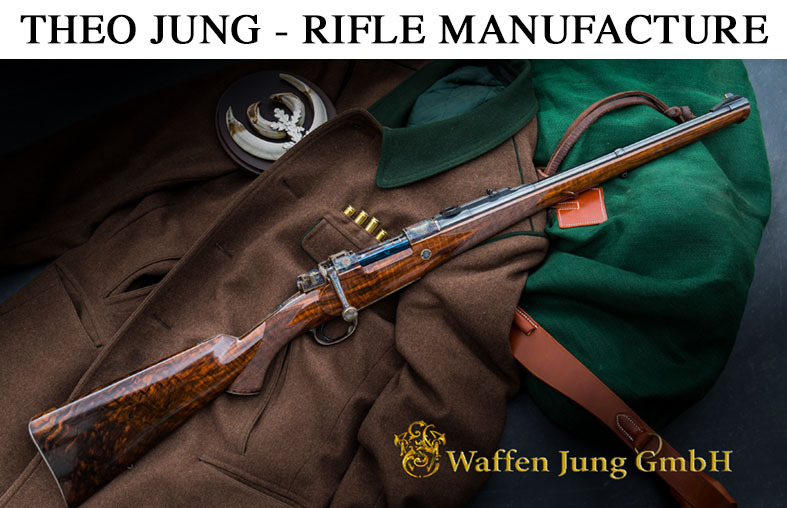 It is however quite possible to buy perfectly good ‘Westley-made’ guns for a lot less money when they were marked and marketed by someone else. In this third year following the Bicentennial of Westley Richards we present a few such examples..
A bar in wood pin fire by James Collins with the WR doll’s head lever work. James Collins was listed at 12 Vigo Lane, Regent Street in 1826 which was clearly too early for this lovely pin fire. Then he was listed at 115 Regent Street in 1853 just when the pin fire was becoming popular in London. 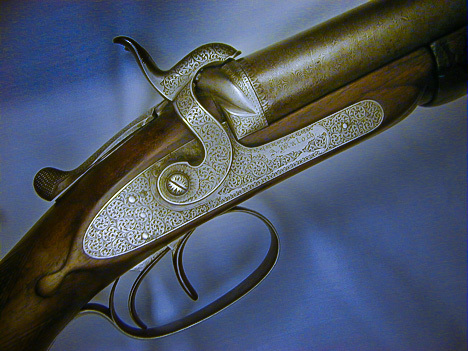 A gun by Dougall. Photos courtesy of Kirby Hoyt. James Dalziel Dougall is best known for his Lockfast action and he had a well established network of workmen so he might well have needed only to have bought-in barreled actions from WR. Alas, we no longer own a 16 bore WR Anson & Deeley bearing his name but we replaced it with this lovely 12 bore made in 1877, just two years after the A&D was patented. An A&D with intercepting sears, which Ian regards as a solution to a nonexistent problem. This one was marketed by William Ford. Photo courtesy of Tom Oppel. William Ford was a barrel borer by trade and a good one, too. He was not a maker per se but bought things out of the Trade and retailed them just like everybody else. He did a lot of specialist boring when choke became the rage, and he was highly regarded for his expertise within the Birmingham Trade. 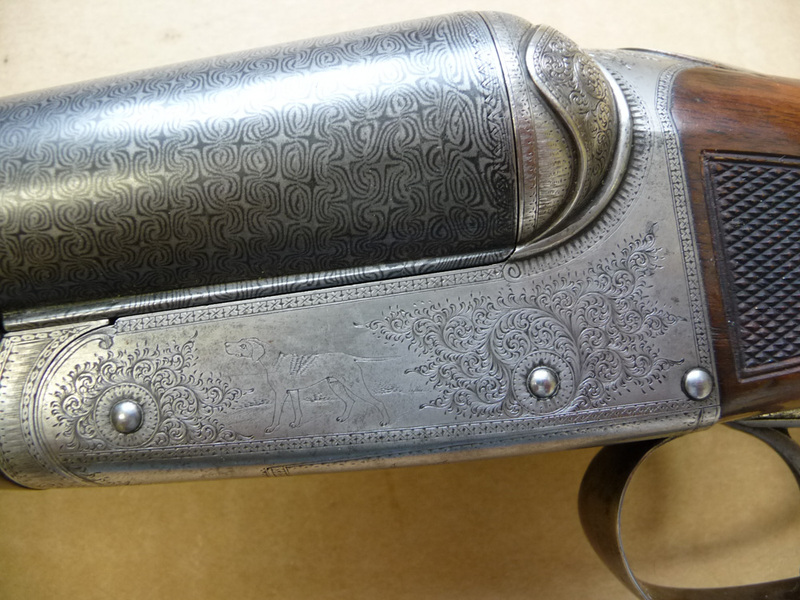 This example shown is by Isaac Hollis (London 1861-1900) and it employs the first lever work used by Westley Richards. 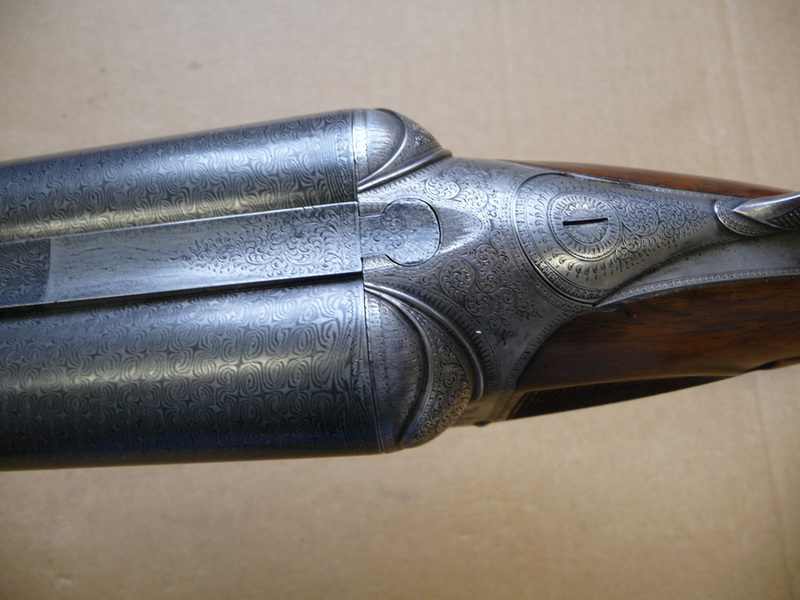 Isaac Hollis had several patents to his own credit and he is known to have made the guns for Crockart of Blairgowrie, Scotland. Photo courtesy of David Condon. The Maleham. Photo courtesy of Guns International. 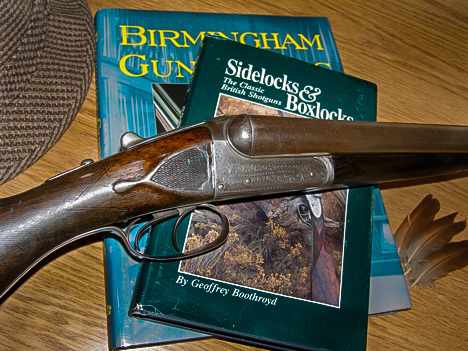 According to Boothroyd’s Revised Directory of British Gunmakers Charles Henry Maleham took over the business from his uncle, George Maleham, who was listed at 5 West Bar, Sheffield from 1854-1857. C.H. Maleham joined the firm about 1860 and retired in 1910. The address on the subject gun is 20 Regent Street Waterloo Place, London. It is quite an early example of the Anson & Deeley boxlock and bears use number 148 indicating manufacture in about 1877-78. 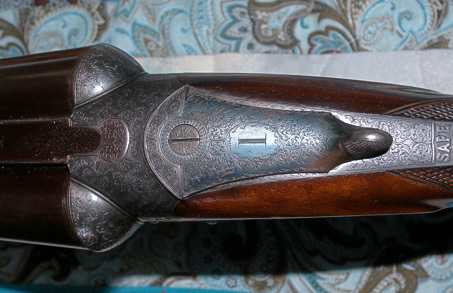 Next is an extensively engraved 12 bore bar in wood pattern hammer gun without rebounding locks retailed by Andrew Maloch, sporting goods dealer of Stirling, Scotland. It has the very distinctive and patented WR dolls-head extension and top lever bolting system, along with the mechanically unusual but invariably reliable two piece strikers that are struck by the ‘up and over’ pin-fire style hammers. 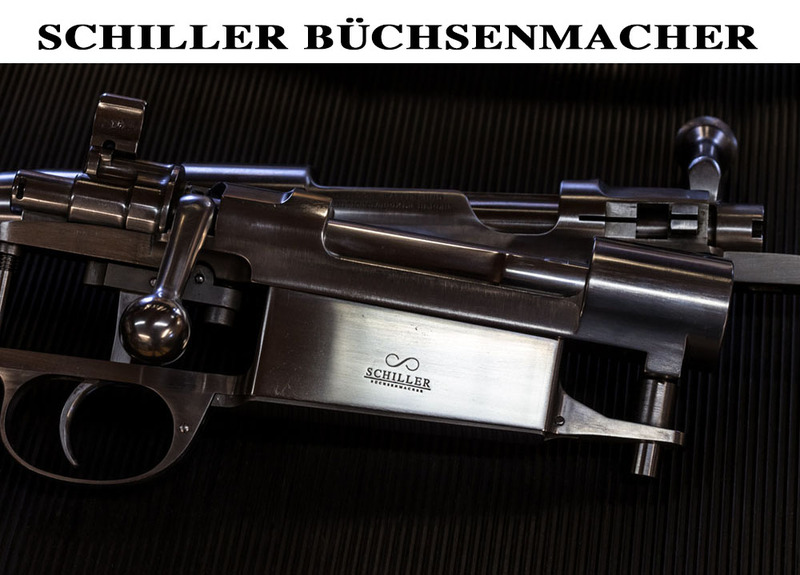 These hammers do not contact the striker with their downward facing horizontal face, as would be the case with a pin-fire chambering but rather with the underside of the inner curve of the hammer nose. 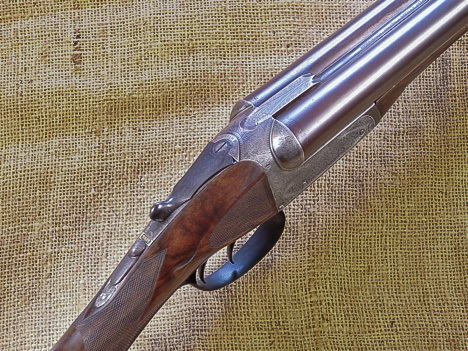 The 30 inch cylinder bore gun with Windsor pattern three wire Damascus barrels has accounted for many high and fast birds since it came down to the States from Canada over a decade ago. The WR/Maloch still hunts after a century and a half. Even the tail of the top tang was engraved. 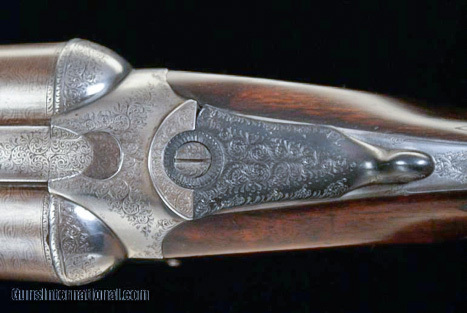 The WR patent dolls- head fastener is clearly identified on this gun marketed by Maloch. The WR/Maloch exhibits very high quality scroll engraving. 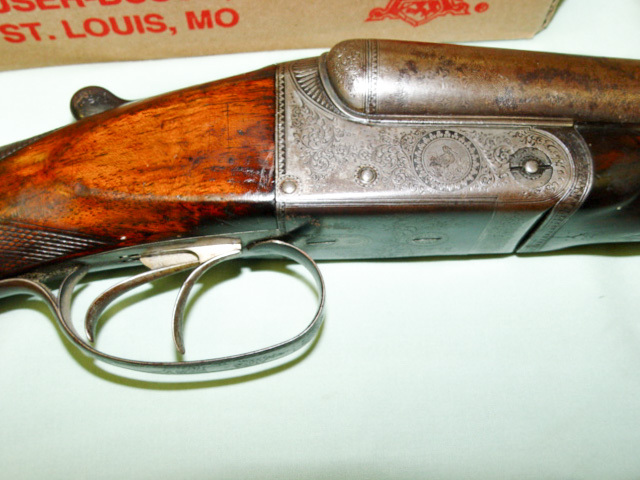 Might it have been sporting goods dealer Andrew Maloch’s personal gun? It is much better engraved than the WR Queen Victoria gave to Prince of Wales Albert Edward in 1870. The cylinder bore of the WR/Maloch can catch a bird. John Lewis Patstone was in business from 1860 in Birmingham. His sons George and John and their sister Elizabeth continued the business after their father’s death in 1915. The three siblings maintained at their old address until the business was acquired by William Cox and Son in 1926. John Lewis Patstone and his eldest son George were quite well known jobbing gunmen within the Whittall St. area of the Trade, in the later Victorian era. Two views of a John Patstone Anson & Deeley boxlock. The much copied and classic profile of the A&D action introduced in 1875. Photos courtesy of Merz Antiques. 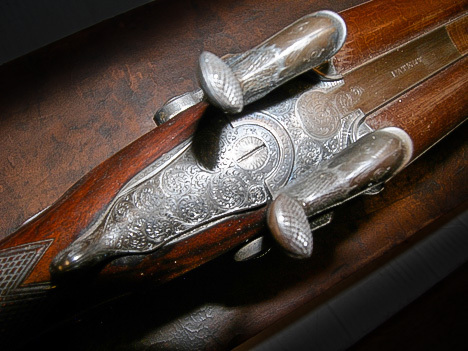 Joseph Charles Reilly set up as a jeweler in 1816, and went into the gun business in 1835. 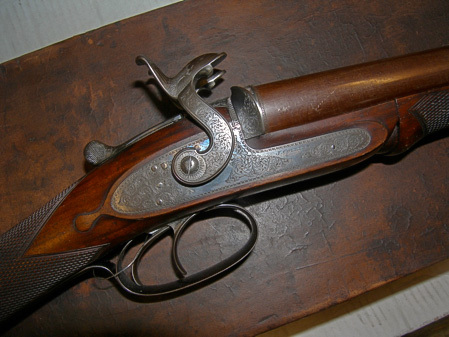 His son Edward Michael joined him in 1848 and was well established by the time that breech-loading guns became popular. 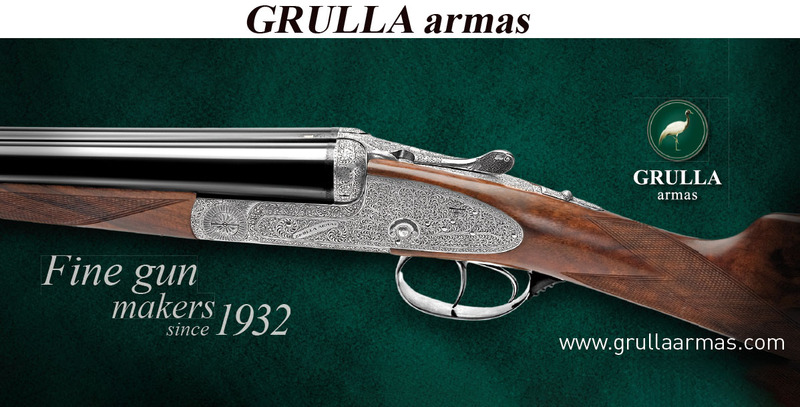 It is more than probable that E M Reilly built no guns himself but he contracted with the very best makers including at least WR and Thomas Turner, and he marketed their excellent guns under his own name, E. M. Reilly and Company since 1882. Reilly did well enough that for some years he maintained a shop in Paris as well. In an 1887 advertisement Reilly claimed to be gunmaker “By special appointment to His Majesty the King of Spain; His Majesty the King of Portugal; His Majesty the King of the Netherlands.” Two prominent Victorians were associated with E.M. Reilly. 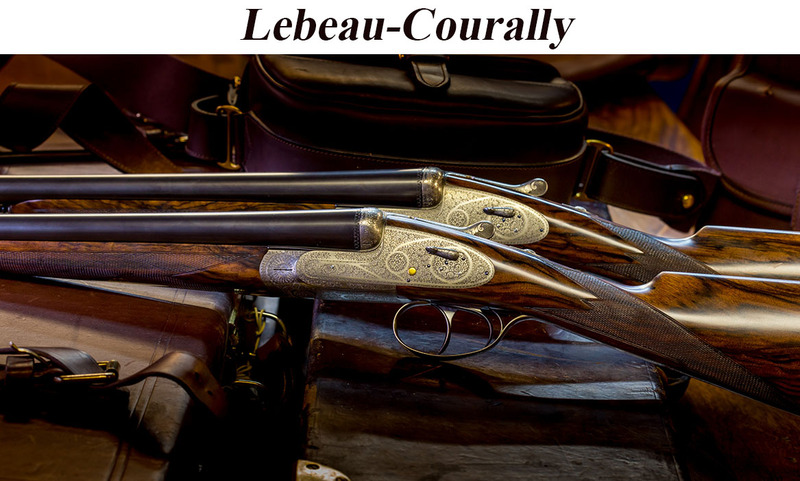 Sir Samuel Baker used a pair of Reilly 10 bores and inspired by Baker, Frederick Courtney Selous took a Reilly 10 bore to Africa on his first venture there. Selous’ gun was stolen shortly after he arrived and so it is mentioned only ruefully, but Sir Samuel’s pair achieved fame through his books. Because Baker was a hero to the Victorians and his books sold well, the fact that he used Reilly guns was a good endorsement. The example we present here (SN 30363) is Number 1 of a pair. It is stamped on the action flats with Deeley’s Patent Ejector use number 428 and Anson and Deeley’s Patent use number 6250 for the box lock action. 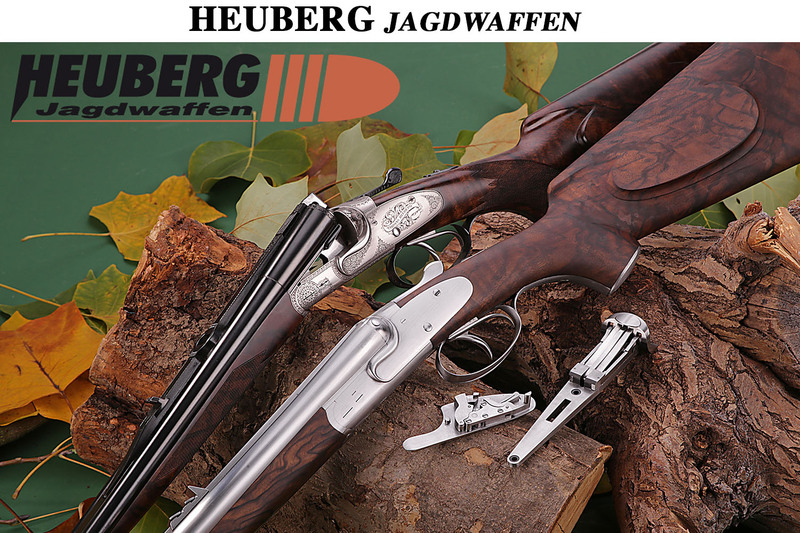 Stocked in well figured walnut it shows cast on for a left -handed shooter. Please inform us if you know the whereabouts of the No. 2 gun! Reilly also supplied pairs of guns. The fences of the Reilly are well covered with tight scrolls as is the rest of the receiver. Note the pin head behind the ball shape of the fence. This was the pivot of an intercepting safety sear; Ian says that it is a solution for a non-existent problem! Andrew Maloch and Charles Smith both obtained whole guns, or very nearly so from WR. Boothroyd’s useful Revised Directory of British Gunmakers lists Charles Smith & Sons as gunsmiths at 37 Market Place, Newark beginning in 1879. Like E M Reilly, Smith did not actually manufacture guns but bought them in. 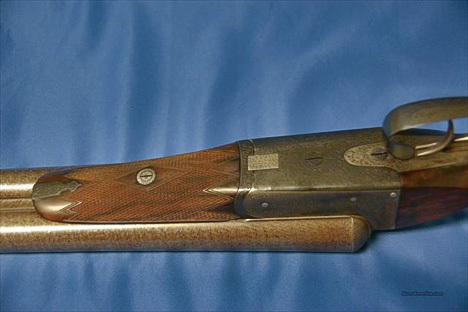 The specimen shown above is the No.2 gun of a pair made in 1928 for an Irishman whose family crest appears on a gold plate on the stocks. The No. 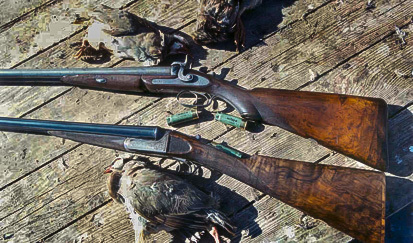 1 gun has equally attractive ‘smoke and honey’ wood but it was in use by a friend when the photo was made. Here we have the lovely old Maloch of ca. 1870 with the No. 2 Charles Smith A&D box lock. The Thomas Turner gun has an unusually short fore end. They were sometimes fitted when the user was disabled, by the loss or curtailed use of the forward hand. Photo courtesy of G. R. Young. Turner also modified the typically broader WR top lever. Photo courtesy of G. R. Young. Thomas Turner was born in 1805. 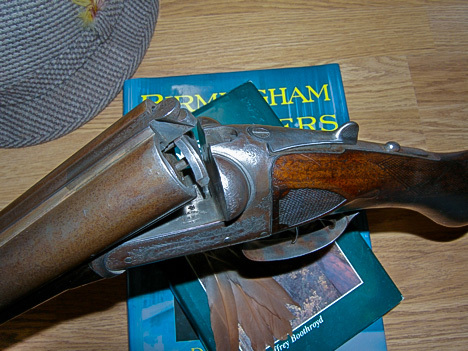 By 1834 he was in business as a gun barrel maker in Birmingham. He is credited with eight gun related patents and he expanded his business to outlets in Basingstoke, Newbury and Reading. His most prestigious address was 19 Brook Street, London from 1884-1891. Thomas Turner was also a valuable sub-contractor to WR, had the entire Birmingham trade around him and was quite capable of making, or having made, the entire gun ‘under license’ if he wanted to. Perhaps he used the same forgings that WR bought-in from the foundries and machined them himself? Or did WR just send him down all of the rough machined bits? Maybe they let him have everything in-the-white? Get the idea? 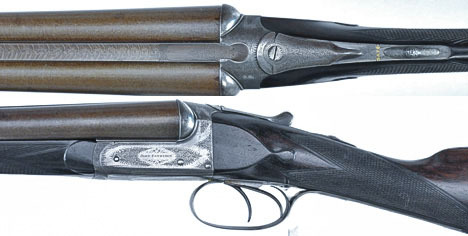 Who made this ‘Westley Richards’? 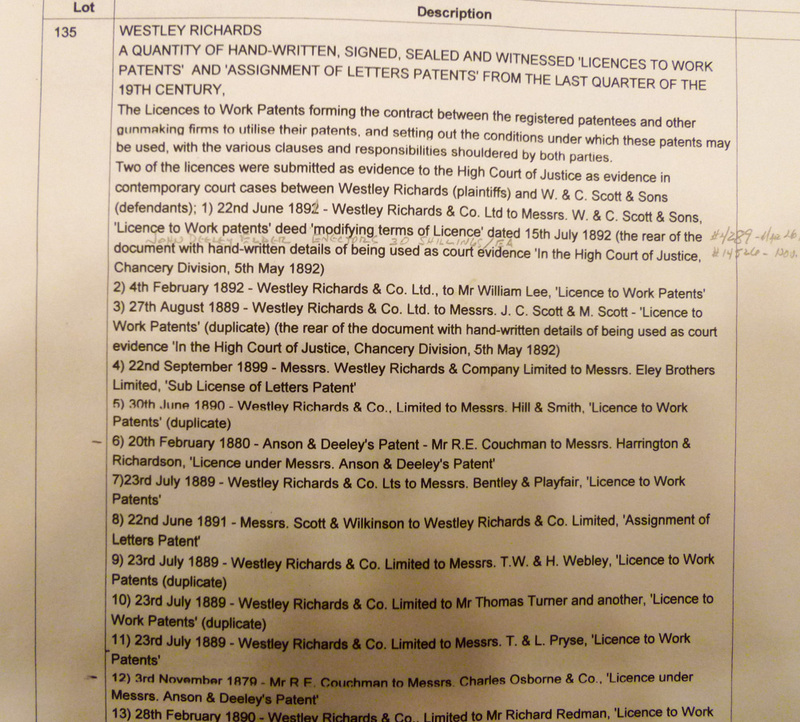 Looking at other types and grades of guns marketed by Reilly, Patstone, and Turner in particular will also show features that originated at the hands of William and Charles Scott and Philip Webley’s workmen and other lesser known suppliers as well as WR. 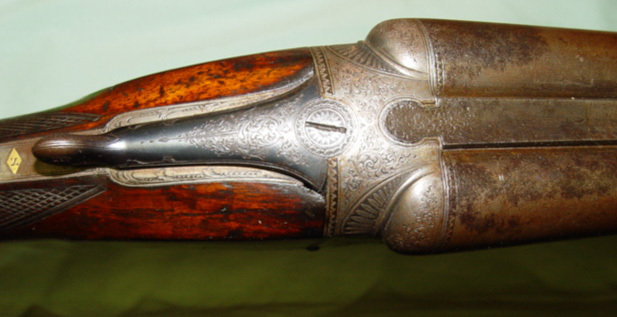 As information has been collated by such excellent researchers as Douglas Tate and Donald Dallas we have recently learned that Webley and Scott were also makers to big name London dealers such as Holland and Holland and (gasp) even Purdey. 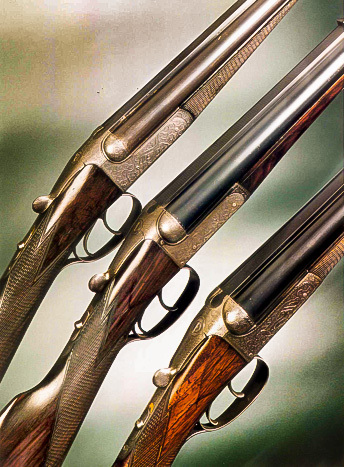 Oh yes, Westley Richards also received whole guns from Webley and Scott. According to research by Douglas Tate, a very highest grade William Rochester Pape of 1871 was probably made entirely by Edward B. Wilkinson of Whittall Street in Birmingham. 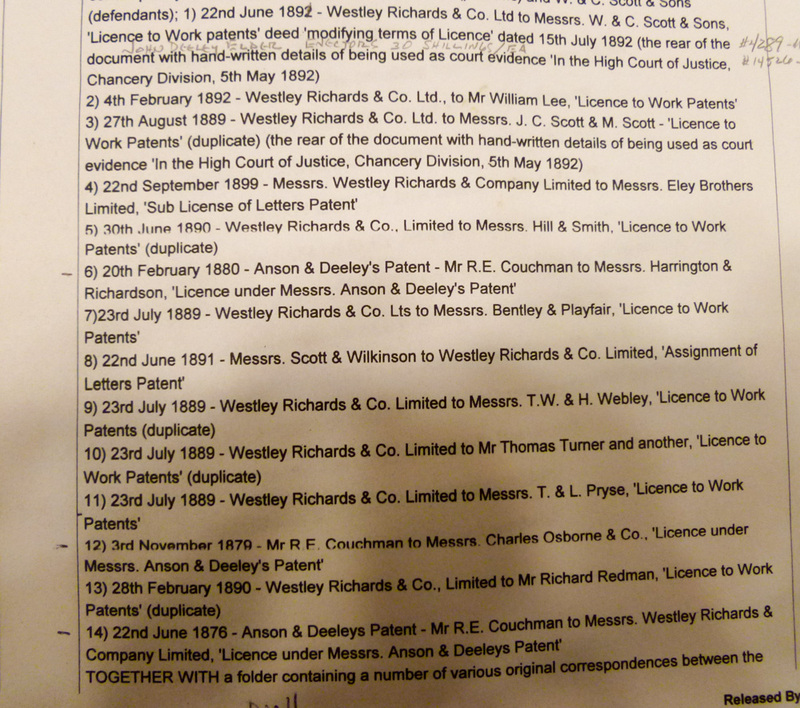 So, to find ‘Westleys’ with so many other names attached really should come as no surprise as the complex workings of the British gun Trade become more clear. It has been said that emulation is the most sincere form of flattery. 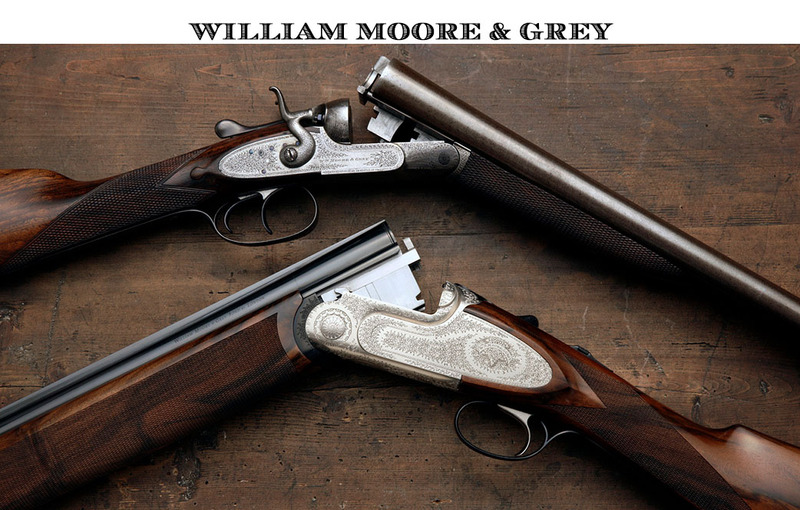 That being so Westley Richards have been very well flattered over 200 years. They are quite rightly proud of all the pistols, rifles and guns bearing their own name. 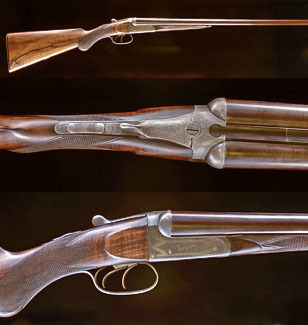 The global copying of the Anson and Deeley boxlock action since 1875 guarantees their place as one of the ‘greats’ in the eyes of those who appreciate firearms. 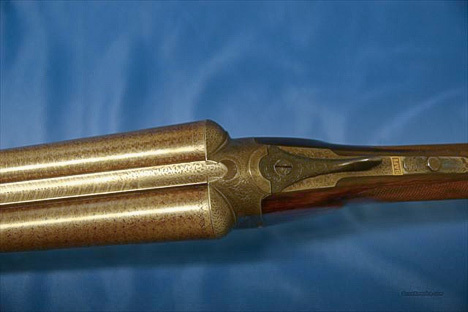 The Anson & Deeley action was adopted for some powerful center fire nitro big game rifle cartridges. Here are three that were marketed on the European continent. 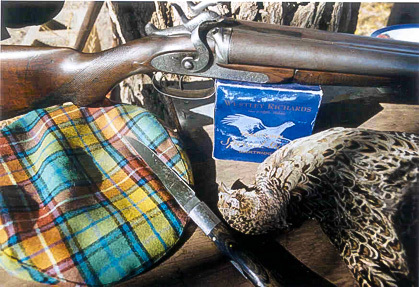 Photo courtesy of the Double Gun Journal. Even the Americans got into the act. The Pittsburgh Firearms Co. knew a good thing when they saw it. In business only from 1860-1885 they marketed this fine old Westley under their own name. This was a $700 gun when I had it. Imagine how much more it might have cost with Westley Richards in that banner! 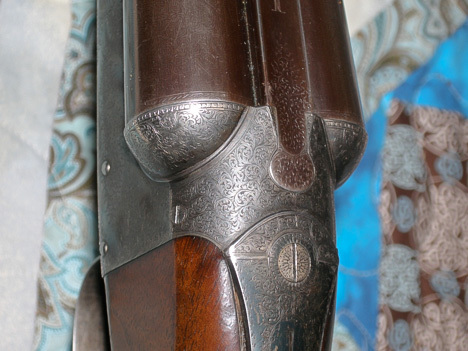 That broad top lever and dolls head fastener are certain identification as to where this gun was made. 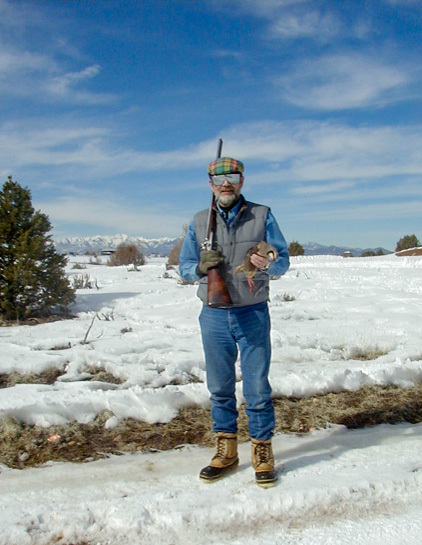 Credit to the Winter 2015 Double Gun Journal – many thanks! Harrington and Richardson, completely made in the U. S. and Mr. Deeley came from England to supervise manufacture. Many thanks, Daryl! This is very interesting! Daryl, many thanks! We are looking forward to the pictures!